Excited to see that one of my pictures was printed big in French newspaper Libération last week. 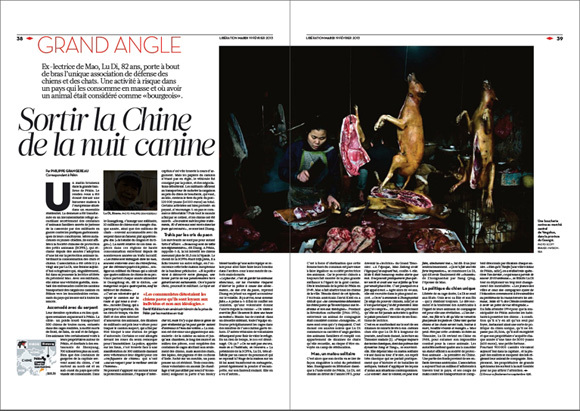 The picture, part of my work China Everbright, depicts a women in Yangshuo, China, butchering dogs for meat in a market. The photo was also recently awarded in the Photo Brigade’s Documentary Photo Contest.